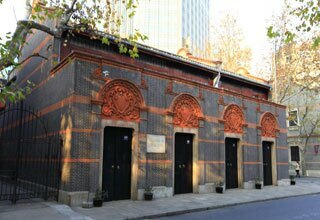 The French Concession was a foreign concession in Shanghai, China from 1849 to 1946, and it was progressively expanded betweenthe late 19th and early 20th centuries. The concession period ended in 1943 when the Vichy French government signed it over to the pro-Japanese puppet government in Nanjing (Nanking). The area covered by the former French Concession in the 20th century was the premier residential and retail districts of Shanghai, and was also the centre of Catholicism in Shanghai. Despite rampant re-development over the last few decades, the area retains a distinct character, and is a popular tourist destination. French Concession was built on April 6 in 1849 after China’s loss in the Opium Wars in 1842. Shanghai, among other cities, was forced to open themselves as an international “ports of call.” In 1849, the government of Shanghai conceded a large of segment of land to the French consulate. 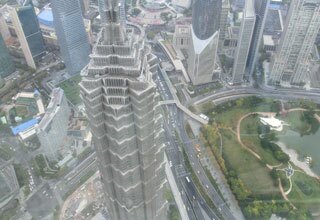 The land was expanded a few times in 1936 and consisted of today’s Xuhui and Luwan districts. Within the concession area, it had its own laws and enforcement. Entrance by local Chinese was strictly limited. 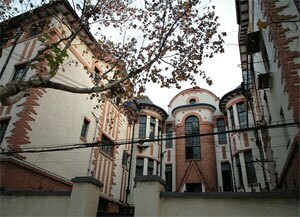 During that period, many Chinese artists and intellectuals took the French concession as their home. American and British settlers also flooded into this area in 1920’s. In the wake of the Russian Revolution, a number of Russian’s also moved into this area. In such land allotment, opium and gambling were main businesses in 1930’s. In 1937, the Japanese army invaded Shanghai and many residents left the city. During World War II, many remaining Shanghai residents were forced to stay at camps built by the Japanese. After 1946, the Japanese army was forced out of Shanghai and most foreign concessions were officially closed. After the founder of New China,all foreign firms moved to Hong Kong until the 1980’s when foreign firms gradually rebuilt their offices in China. 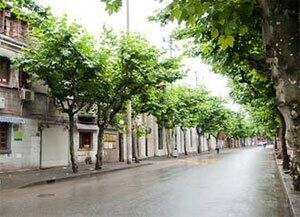 Old French Concession Streets lined with trees is a bustling area, combined with a growing number of trendy boutiques and restaurants. Changle Road and Xinle Road are rapidly becoming the places to find small designer clothing shops. Interesting architecture built with French and Belgian venture investments and showing mixed Chinese-European styles. Soong Ching Ling&apos;s Former Residence was built in 1843 at Huaihai Middle Rd, Xujiahui District. Today there&apos;s a small museum with many artifacts, largely about the politics of China, leading up to the official founding of the P.R.C. The nearby house is two levels and contains many original items and pictures. The grounds are very well maintained and there&apos;s a garage with a few formerly state-used cars as well. 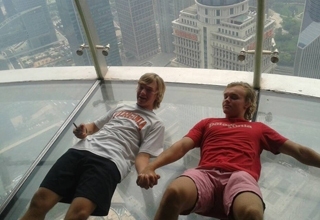 Fuxing Park is located at 105 Fuxing Zhong Rd. This European Style Park, formerly known as French Park, is a popular park with gardens, open spaces, restaurants and clubs dotted throughout. Early in the morning, the park is filled with dancers, card and majiang players, tai chi artists, and singing groups. Longhua Martyrs&apos; Cemetery is located at 180 Longhua Lu. Nowadays very few people are buried here, so it&apos;s more of a memorial garden and museum but the acreage is beautiful and large. Longhua Temple, next to Longhua Martyrs&apos; Cemetery south gate, is one of the city&apos;s less-visited temples.